I know that I am bombarding you with news from the Chamber, but this is truly a big announcement. The Chamber will be moving to its temporary location on Friday, January 18. We will be closed on Monday, January 2t while we get ourselves functional again, and then will return with normal 9:00-5:00 business hours on Tuesday, January 22. Our new location is 128-A Jefferson Street. Come by and see us anytime! We hope to be in our permanent location on the South side of the square by May. Big dreams are coming true! Since it is our 50th Anniversary for the Stew Contest, we are hosting our T-shirt/theme contest EARLY so we can CELEBRATE all year! If you have a great idea for the theme of this year’s stew contest, submit your entry via email to Lezley@HopkinsChamber.org by January 31, 2019. Can’t wait to see your ideas! It’s gonna be big! 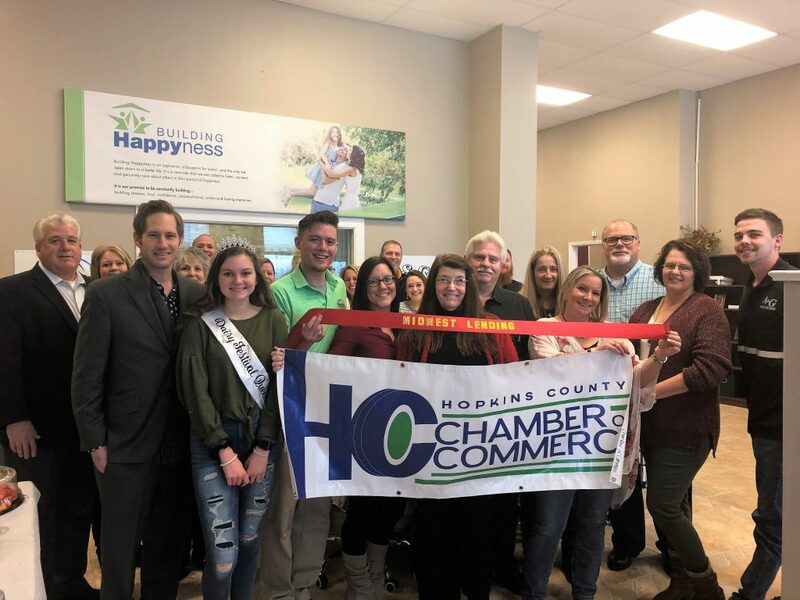 It is with great pleasure that the 2019 Board of Directors invites you to the 93rd Annual Hopkins County Chamber of Commerce Banquet on Thursday, February 14, at 6:00 pm at the Hopkins County Civic Center. We are introducing a Networking Cocktail half hour at 6:00 pm. Dinner will be served at 6:30, and the awards will follow at 7:00 pm Please take this opportunity to bring your family, friends, and employees to an evening of dinner and community awards including Large and Small Business of the Year, Educator of the Year, Caregiver Award, Agriculturist of the Year, Woman of the Year, and Citizen of the Year. Our banquet theme is “Love Makes the World Go ‘Round!” and is set in various places around the world. This is your chance to bring your sweetheart on Valentine’s Day to enjoy a night bursting with community pride. Red attire is encouraged, but not required. Individual tickets are $30, and tables of ten are available for $500, which includes preferential seating and visible labeling of your business. We are excited for you and your business to join us for this extraordinary evening. Please make your reservation TODAY by calling Chelsea, Cathey, or Lezley at the Chamber of Commerce, (903) 885-6515, or by stopping by to visit at 128-A Jefferson Street in Sulphur Springs. The Reilly Springs Jamboree offers an exciting Country and Gospel season opener show on Saturday, January 19. Tickets at the door are $10 adult and $5 for children age 10 and under. The Kitchen offers concessions, a meal, and desserts. The Reilly Springs Jamboree is Hopkins County’s original music venue since 1956, held on the third-Saturday night of each month inside the Reilly Springs Community Center, 109 CR 1439. Check Facebook or find archived shows at reillyspringsjamboree.com. Contact Enola Gay at 903-438-3568 or Roger Reed for details. Merle Norman Spa will host a ribbon cutting celebration on Tuesday, January 22, at noon. They will reveal their new spa services. Merle Norman is located at 212 N. Davis Street in Sulphur Springs. See you there! Chaffer’s Place Academy & Arts is hosting their ribbon cutting celebration at 410 Main Street in Sulphur Springs on Tuesday, January 29 at noon. Please make plans to stop by and welcome this new business to Hopkins County. Julia Wilhite State Farm will host their ribbon cutting celebration on Wednesday, January 30 at noon. Julia’s State Farm office is located at 1030 Gilmer Street in Sulphur Springs. See you there! Texas A&M – Commerce Career Development is hosting a Non-Profit Career and Internship Fair on Tuesday, February 12 from 11:00 am to 2:00 pm in the RSC Conference Rooms. The cost is $75 and includes one table for volunteer and intern recruitment, two lunch tickets, and two hours of student engagement. Please register at www.hirealion.com. 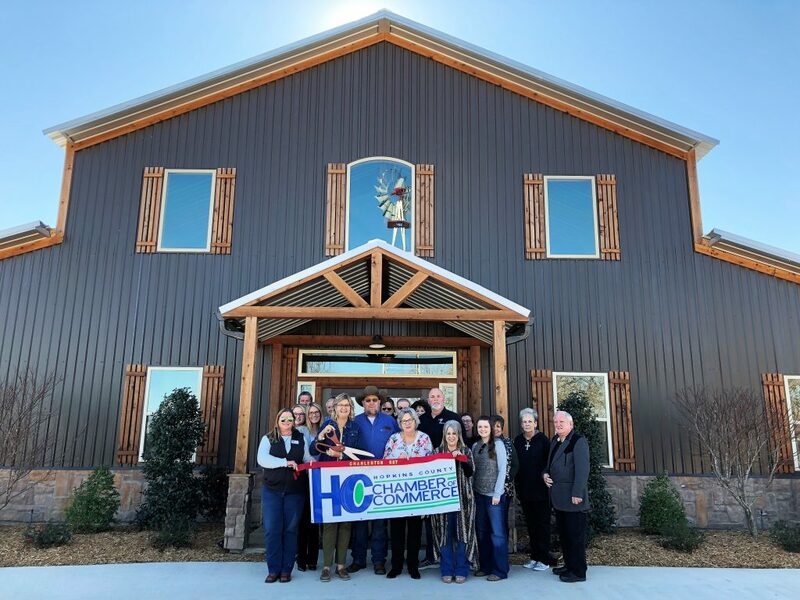 Charleston Sky, a new venue in Delta County, held their ribbon cutting celebration on Wednesday, January 9 at noon. Their address is 4274 FM 895 in Cooper, Texas. Midwest Total Lending Concepts hosted their ribbon cutting celebration at noon on Monday, January 14. They are located at 616 N. Hillcrest Dr., Suite B, in Sulphur Springs.